Love mashed potatoes but cutting carbs? 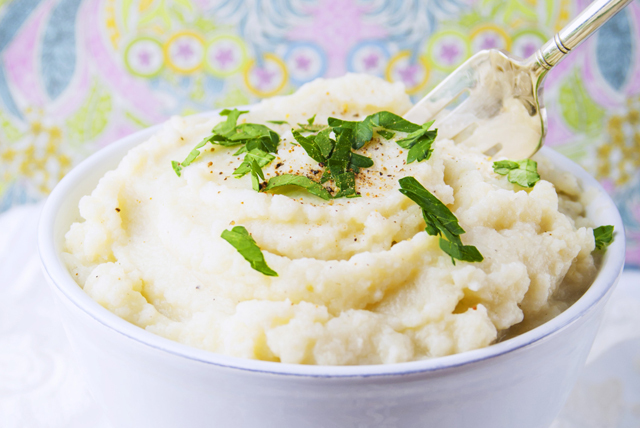 Why not try our recipe for Creamy Cauliflower Mash? You won't miss the potatoes - that's a promise! Cook cauliflower in pan of boiling water 15 min. or until tender; drain well. Pat cauliflower dry with paper towels; place in food processor. Add remaining ingredients; process until smooth. Serve with cooked chicken, pork or roast beef.